Ann P. Buckley, lifetime resident of Tripp Park, passed away peacefully at the home of James Buckley on Tuesday surrounded by her family and friends. Born to Anna M. Curran and James J. Lynott on the 21st of Dec. 1929. She was preceded in death by her husband, Paul J. Buckley; her infant daughter, Pauline Buckley; her son, Robert M. Buckley; and her daughter-in-law, Mary T. Buckley. A 1947 graduate of Scranton Technical High School, Ann was a devoted wife and mother who put her family above all, sacrificing anything and everything. She had a great zeal for life and love of God as a lifelong parishioner at St. Patrick's Parish in Scranton. Ann's infectious smile and cheerful disposition could brighten any room she entered. Although she suffered greatly with many afflictions, one would never hear her complain or miss any events which involved family. Ann enjoyed evenings on her porch with friends and family, raising a glass or two, and being hospitable. Her home was open to anyone at any time. 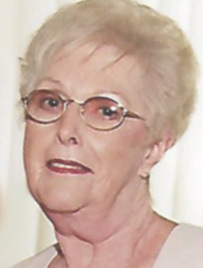 During younger years, she enjoyed many vacations with her best friends, Betty McPhillips and Marsha Gilbride, to Wildwood, N.J., Ocean City, M.D., and many adventurous cruises. Surviving are her sons, James Buckley, Scranton; and Paul Buckley and wife, Jill, Warminster; her grandchildren, Megan Buckley, Scranton; James Buckley Jr., Pittsburgh; Katie Buckley, Scranton; Kayla Kindt and husband, Brad, Scranton; Allyson Buckley, Philadelphia; Colin Buckley, Warminster; Jason Kwolek, Jefferson Twp. ; Neil Spoonhower and wife, Brennan, Goochland, Va.; great-grandchildren, Morgan and Angelo Kwolek, Jefferson Twp. ; Riley and MacKenzie Buckley, Warminster; Pauline Buckley-Kindt, Scranton, who affectionately referred to her as "Grammy Buck"; several nieces, nephews and cousins, all of whom she adored. A very special thanks to all of the healthcare professionals who cared for Ann: Eugene, Linda and Jeane Marie from Advanced Home Healthcare, who cared for her the past five years; the staff at DaVita Dialysis Center in Old Forge, Pa., who treated her with kindness, compassion and love through the duration of her dialysis treatments; the staff at Green Ridge Nursing Home for their wonderful care, particularly in her final days at the facility; a special thanks to Home Health Care Professionals who provided hospice care in her final days, including Maria, Carol and Blaire; also, a special thanks to Dr. Peter Cognetti, her family physician; additionally, Alice Leoszewski, who transported her to and from dialysis; also, Dorothy MacDonald Roach, who provided loving assistance through the past several years. The funeral will be Saturday with Mass of Christian Burial at 10 a.m. in St. Patrick's Church, 1403 Jackson St. Interment, Cathedral Cemetery. Friends may call Friday from 4 to 7 p.m. at Neil W. Regan Funeral Home Inc., 1900 Pittston Ave., Scranton PA 18505. The family requests that those attending the funeral on Saturday please proceed directly to the church. In lieu of flowers, memorial contributions may be made to St. Patrick's Food Pantry, 1403 Jackson St., Scanton, PA 18504. Copyright 2006-2018 Neil W. Regan Funeral Home. All rights reserved.